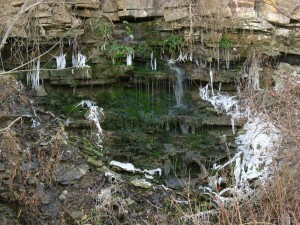 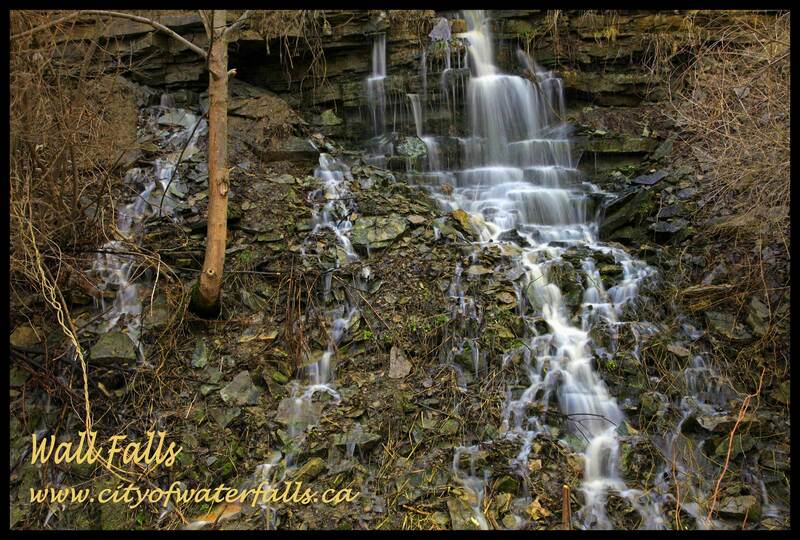 Wall Falls was “discovered” by Joe Hollick on January 1, 2005. 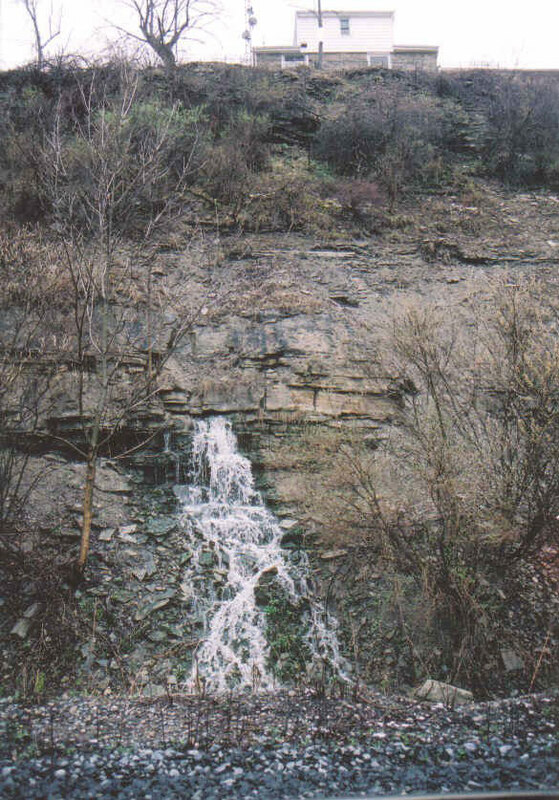 It was an amazing sight, as the water emanates from a fissure about half way down the escarpment wall, thus the name of Wall Falls. It is unknown from whence this water originates. 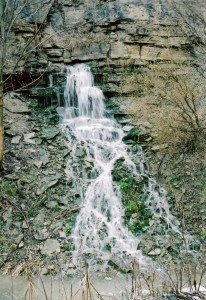 Its height is 4 metres (13 feet) and its width varies from 1 metres (3 feet) to 2 metres. 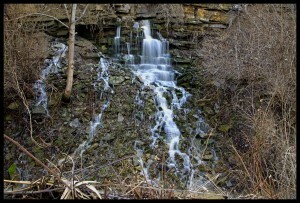 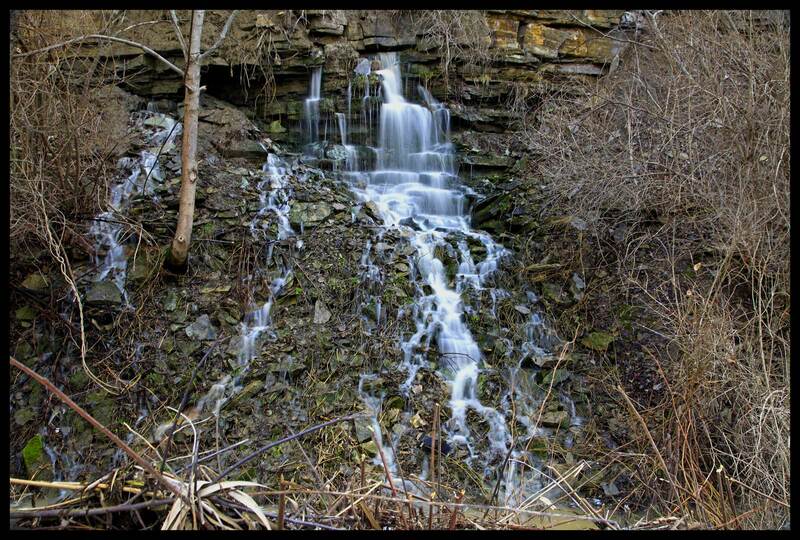 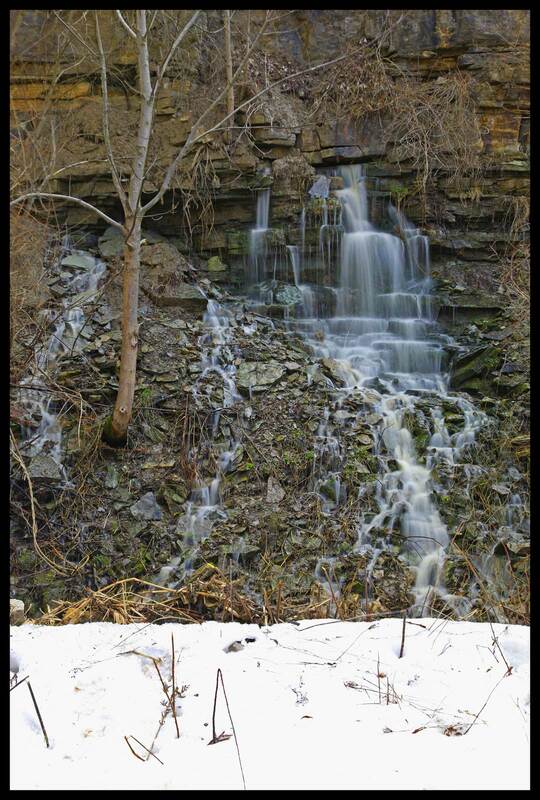 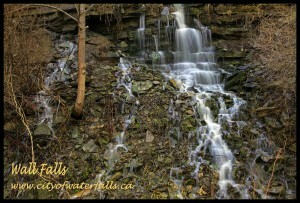 Wall Falls is located on the south side of the railway tracks about 1/2 km east of Dewitt Road. 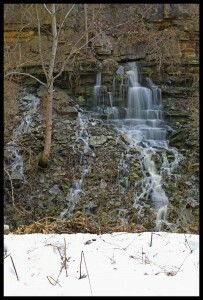 Follow the Bruce Trail until you reach the creek and then work your way in.